Even though the discussion of cannabis has become less taboo over the years, sifting through the haze (pardon the pun) of information can be a daunting task in and of itself. With the recent legalization of cannabis here in Canada, and in anticipation of an increase in doctor prescribed medical cannabis, new users might find themselves overwhelmed with confusing or contradictory material. The Strainprint Community is here to help. Cannabis oil is a thick extract from the flowers of the cannabis plant. It can contain over 100 active cannabinoid compounds that bind to receptors in the body and brain. Two of the most studied cannabinoids are CBD (Cannabidiol) and THC (Delta-9 Tetrahydrocannabinol). To put it bluntly (again, pardon the pun) THC is the compound that gets you high, while CBD is better known for its non-intoxicating, properties. The oil is more concentrated than dried flowers, so people using the oil will feel the recreational or medical effects of the cannabinoids more intensely. Cannabis oil, when ingested, can take anywhere from 30 minutes to 3 hours to take effect as it is processed by the liver. The effects can last 6-8 hours or more depending on your individual metabolism. So, how do I use cannabis oil? Cannabis oils can be ingested as is, sublingually, or made into edibles, infused into topicals or inserted in suppository form. When it comes to first time users, the best course of action is ‘low and slow’. Since no two people will have the same cannabis experience, it’s advisable to start at a lower dosage and work your way up over days and often weeks. Select a safe, familiar environment when using cannabis oil for the first time. We would also recommend taking it in the presence of a friend or someone you trust and feel comfortable with. Until you know how the oil will affect you and how long its effects will last, it might be a good idea to have someone around in case you start to feel anxious. Eat something. This may sound contradictory, especially since cannabis oils can be taken as an anti-emetic, but having food in your system before you consume your oil will help combat any nausea you might feel from taking it on an otherwise empty stomach. If you do end up feeling unsettled, try to avoid medications such as Gravol, instead sip some ginger or lemon tea. Also, steer clear of alcohol while under the influence of cannabis oils, alcohol can increase the levels of THC in the bloodstream, intensifying its effects. If you think you’ve taken too much cannabis oil, don’t panic, it will pass. Remaining calm and focusing on your breathing will get you through it. As with any uncomfortable or unintended high from cannabis, you can drink water, chew on some peppercorns, or have a meal. CBD is known to help temper the discomfort associated with too much THC. Since dosing is a very individual process, using the Strainprint app to track your titration and journal its effects on your symptoms is a great way to mindfully medicate. 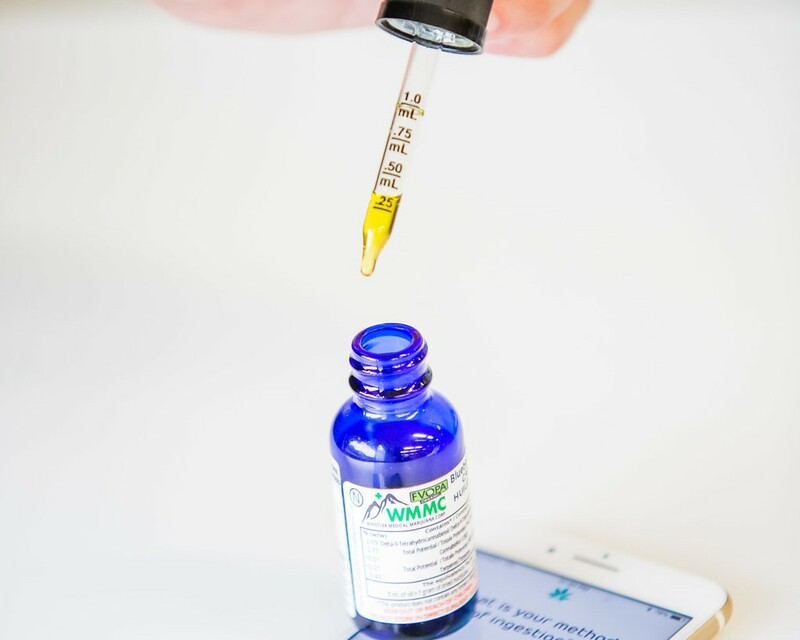 It is especially helpful when ingesting cannabis oil, since onset time can vary from day to day as well as patient to patient. While there are pros and cons to every treatment, keep in mind your end goal. You might experience some or none of the ‘side-effects’, which may include dry mouth, fatigue, increase in heart rate or change in appetite. Try to look at the trial and error process as growing pains, -eliminating what doesn’t work for you – because once you find that sweet spot, the benefits will outweigh any previous discomfort. Ensure that you are using a safe and regulated substance, and as always, the Strainprint Community is here for you.